Fashion is so cyclical while great style is timeless. Brandistas, you know I have a rather classic style leading me to collect traditional staple pieces season to season and keeping them for years. 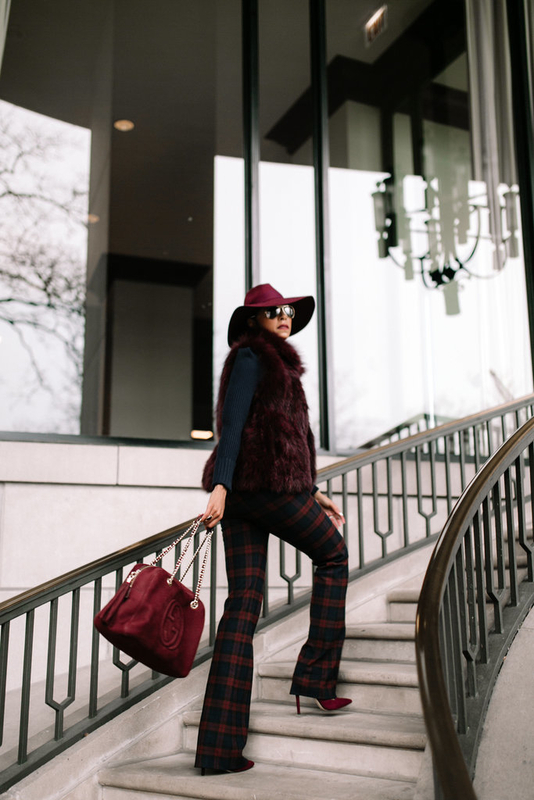 While I welcome ways to refresh and keep my street style on-trend by making sure a few of those gems are trendier each season, I’m very mindful of the pieces I will still love and continue to rock. In typical ‘classic’ girl fashion, something about the beautiful bold plaids and other throwback prints like polka dots and paisley met me with some resistance. Perhaps because I wore the ‘he#l’ out of plaid throughout the 80’s and 90’s rushing my mind back to vivid memories of an overload of plaid blazers (a particular yellow one) and pleated skirts from the Clueless days circa 199o’s. Somehow someway, both a remix of pleated skirts and plaid have trickled back into my wardrobe lending my 2018 fall fashion looks to be a complete homage to the 90’s. I’ve digested it as chop as the nostalgia element of styling repetitive fashion and going with the flow.